Toshiba’s VIPedge virtual phone system is designed for businesses seeking robust communication features without having to own and maintain an onsite PBX system. Customers pay a monthly service fee- based upon size and usage- instead of purchasing or leasing a standard business phone system. 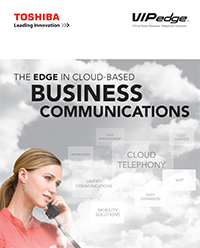 The VIPedge cloud business telephone system provides superior sound quality and industry-leading, feature-rich functionality based upon the onsite Toshiba IPedge IP phone system architecture. The VIPedge supports many of the same high-quality Toshiba applications and endpoint devices as the IPedge, including Toshiba IP phones (5100 series) and IP4100-series wireless IP phones. Full Business Phone System Features– Auto Attendant, Conferencing, Paging, Direct Dial Numbers & Extensions, etc. Voicemail with Unified Messaging- examples include voicemail-to-email, Find-me-Follow-me call routing, and more. Unified Communications Call Manager provides complete call control from your computer with click-to-dial, presence, instant messaging, call handling, e-mail/voicemail/Web/CRM integration, and more. Unified Communications Call Manager Mobile with enhanced presence information; single and group instant messaging including multiple simultaneous sessions; and broadcast messaging for Android and Apple iOS smartphones. UCedge Unified Communications Application enables your mobile devices to act as your business extension with full desk phone functionality & call center functionality. Mobility solutions including smartphone and tablet integration. Survivability is automatically provided via the Cloud so you’ll never lose calls if a disaster occurs. Hybrid Networking– Network all of your locations by mix and matching Toshiba cloud or premise-based phone systems, creating a hybrid network with feature transparency! Softphone & so much more! VIDEO: Toshiba’s VIPedge™ cloud-based business telephone solution has helped Rickmar Properties (www.RickmarProp.com) exceed its communications goals with an annual cost savings of more than $6,000 over its previous telecom service costs, all without the need to maintain an on-premises telephone system. 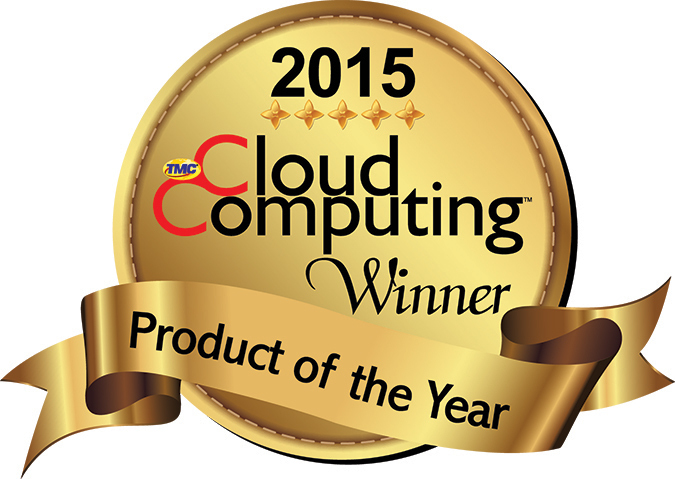 WHAT DIFFERENTIATES TOSHIBA’S CLOUD PHONE SYSTEM FROM THE COMPETITION? Toshiba has over 135 years of experience in telecommunications and is a leading and well-respected telecom corporation. The VIPedge Hosted PBX includes basic and advanced features for no extra cost. Auto Attendant, Voicemail, unified messaging, hunt/ring groups, paging, IVR, call recording to VM, multi-party conferencing, mobility solutions, unified communications integration, and much more! The VIPedge virtual PBX is Toshiba-developed virtual phone system technology and provides ongoing, frequent software and application updates for no additional costs. Keep your existing Toshiba IP5000 and IP4100 series telephones when migrating from a Toshiba premise-based office phone system to cloud-based phone system- saving hundreds if not thousands of dollars. Toshiba telephones are backed by a 1-year warranty with extended warranty options of up to 7 years. Easily migrate from a Toshiba premise-based office phone system to the cloud PBX and vice versa. This helps retain your investment in IP phones and endpoints, while continuing to use familiar features. Scalability- the VIPedge supports 500 users in a single site or multi-site deployment. Easily increase users and features as the needs of your business evolve. 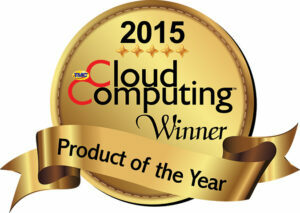 The VIPedge is sold and fully supported by ACC Telecom- a Premium-certified authorized Toshiba dealer. Let us manage your system for you, beginning with a features assessment and quotation to installation of the router(s) and phones. We provide free helpdesk support and ongoing support for future needs or issues. Please utilize Toshiba’s Network Assessment Tool to see if your network is ready for VoIP phone system services. ACC Telecom is centrally located in Columbia, MD to conveniently support business phone systems throughout Maryland, Washington DC, and Northern Virginia and recently nationwide with our National Account Program. Contact us for more information on how Toshiba’s VIPedge cloud telephone system can help your small or medium sized business today!